Discussion in 'Downhill & Freeride' started by cjstewart88, Mar 24, 2008. So, does anyone have one? If you do post a pic of it and let me know about some upgrades you have done or think would make this bike more solid. I recently bought one to be an "all around bike" and plan on riding it everywhere. Upgrades I plan on doing to mine are going to be: e.13 STS guide, and deity handle bars and stem. I know these are some pretty beefy upgrades to this bike but I'm a pretty careless and ruff rider and want this bike to be a solid bike for me. Here are some specs for the bike and a pic of the stock bike. I ride a 17.5". 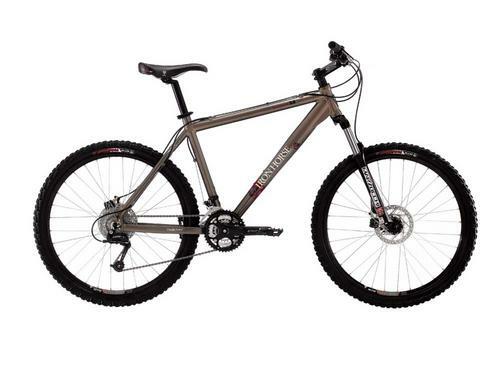 Save the money for the chainguide and Deity stuff and get a better spec'd bike overall. Just ride it and replace what you break. Sooner or later you'll have a whole new ride!